Sorry, I could not resist the Hannibal reference. Anyway, let me set the scene. It's Sunday evening and the normal scramble had begun. My wife and I were frantically running around the kitchen looking for things with which we can make a substantial evening meal, whilst establishing what laundry needs to be attended to and whose homework needs to be finished. The usual madness, I reassure myself, that occurs in the home of every other parent. I found some meatballs, some pieces of roast chicken breast, a jar of pasta sauce, some herbs, garlic and spaghetti. Sounds like a meal, right? I fired up the oven and dash downstairs to pull a bottle from the cellar. I had been looking for an excuse to try the new vintage from Marchesi dè Frescobaldi Castello di Nipozzano Nipozzano Chianti Rufina Riserva (2009), having been reminded of it in Montreal last month when I enjoyed the 2006. Winemaking at Castello di Nipozzano dates back to 1864. The region lies east of Florence in the revered territory of Chianti Rufina, overlooking the valley through which flows the River Arno. Better still, it is blessed by a distinctive microclimate that, married with the soil and altitude, provide ideal growing conditions for elegant and long lived wines. But I digress...! 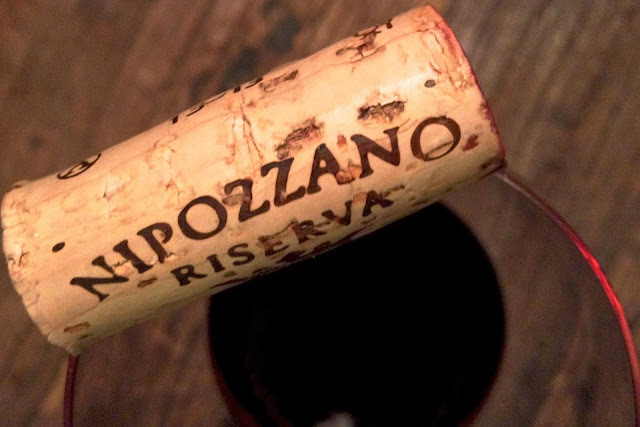 I pulled the cork on the 2009 Nipozzano Chianti Rufina Riserva and left it to breathe for an hour while I began to prepare dinner and check homework. I don't know about you but I love the first sniff, that first impression. On this occasion, as with many Italian wines, it made my mouth water. It's bad enough that by now the kitchen now smelled wonderfully of meat, tomato and garlic that were not yet ready to eat but now my eyes, nose and brain were ganging up on my stomach to say "FEED ME"! While I waited, the wine would have to suffice. In the glass it beamed with a delightful deep purple hue, edged by a translucent rim. The nose revealed herbs, summer flowers, leather, black cherry, blackberry and licorice. The palate grabbed me from the first sip. It's like the energizer bunny decided had arrived in my mouth with great fists full of black cherry plum skins, licorice, leather and earth, and pummeled my tongue like that darned little drum. The fruit was vibrant and pure, showing nice focus and depth on mid-palate and dogged persistence. This bunny kept on going with a layered finish that added a little spice and smoke to the occasion. Once the food hit the table, the Nipozzano found its true comfort zone. As energetic as a kitten entertained by a laser pointer, this Chianti possessed an ample core of fruit, acidity and earthy tannin to complement even the most rustic of homemade pasta and tomato sauce dishes. A little freshly ground black pepper and grated Parmigiano-Reggiano and all was right with the world, my grumbling stomach and my bickering children. It never ceases to amaze me how the simple combination of good wine, food and family restore a sense of balance to my weeworld. 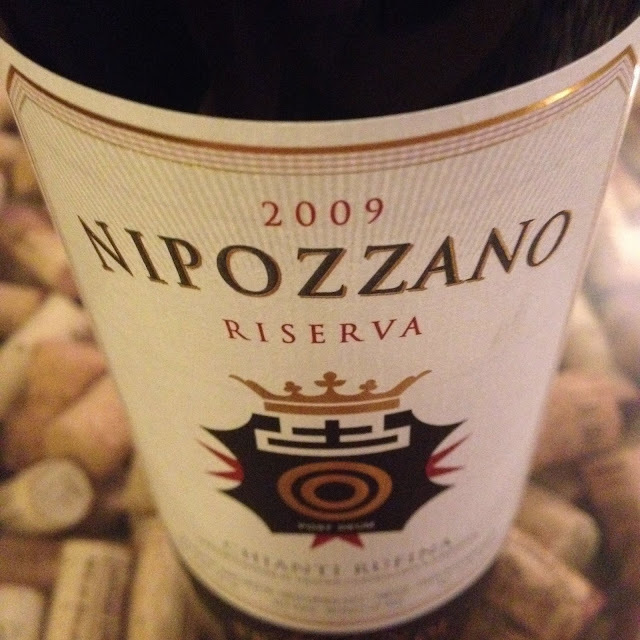 In summary, the 2009 Nipozzano Chianti Rufina Riserva is an elegant wine with great energy, and old world charm but eminently approachable in its youth. What is even better to me is the fact that it's built for food! It's also built with some cellaring potential and age gracefully over the incoming 3-5 years. As I said at the start, I recently tasted the 2006, and it was drinking wonderfully well. The 2009 is beautifully perfumed with a great core of fruit and dusty tannin, and at around $26 USD this is definitely a steal. As the night rolled on – proved itself to be a great companion to the meatballs and spaghetti. For those who like a score - it comfortably makes the 88-90 point range. For those who don't like keeping score, think of it this way. Was the wine worth the money? Yes! Was is a great complement to dinner? Undoubtedly, yes! Am I at all disappointed that I bought it or opened it tonight? No! Now - I will have to leave you all so I may enjoy the rest of the bottle in the company of my beautiful wife. Cin Cin! 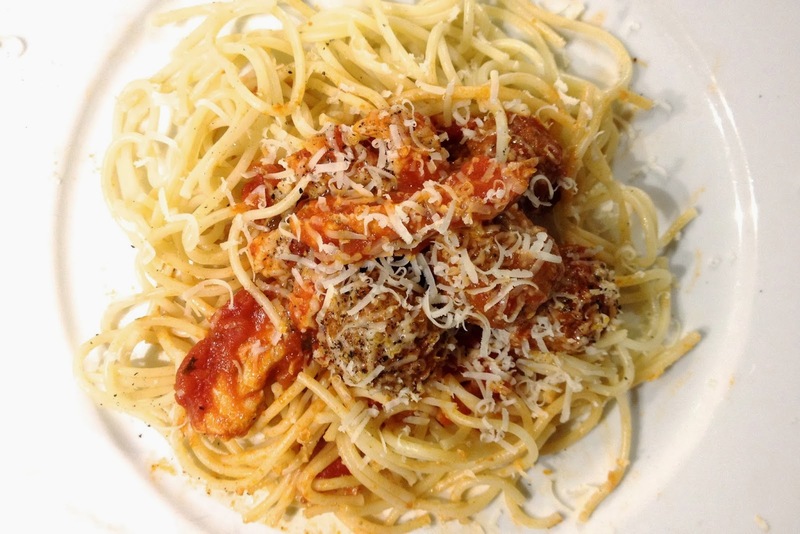 Great post - brought back some Italian home memories! Thanks Cynthia - I am delighted that you enjoyed it and hope you will drop in, read and comment every now and again. Andy, I love Nipozzano and have been sipping Frescobaldi wines since 2003. This Chianti Rufina is one of my go to bottles for almost anything Italian. Well done my friend to highlight this Riserva. It can usually be found for $20 on sale.